To become efficient at using Gammapy, you have to learn to use some parts of Astropy, especially FITS I/O and how to work with Table, Quantity, SkyCoord, Angle and Time objects. Gammapy is built on Astropy, meaning that data in Gammapy is often stored in Astropy objects, and the methods on those objects are part of the public Gammapy API. This tutorial is a quick introduction to the parts of Astropy you should know become familiar with to use Gammapy (or also when not using Gammapy, just doing astronomy from Python scripts). The largest part is devoted to tables, which are a the most important building block for Gammapy (event lists, flux points, light curves, … many other thing are store in Table objects). 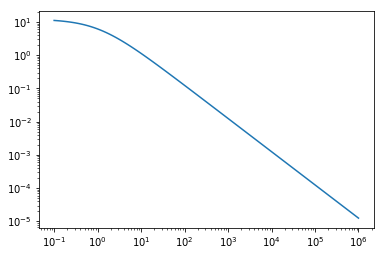 More generally a Quantity is a numpy array with a unit. Here we compute the interaction time of protons. A frequent issue is homogeneity. One can use decorators to ensure it. Incorrect unit: Argument 'E' to function 'electron_energy_loss_rate' must be in units convertible to 'J'. 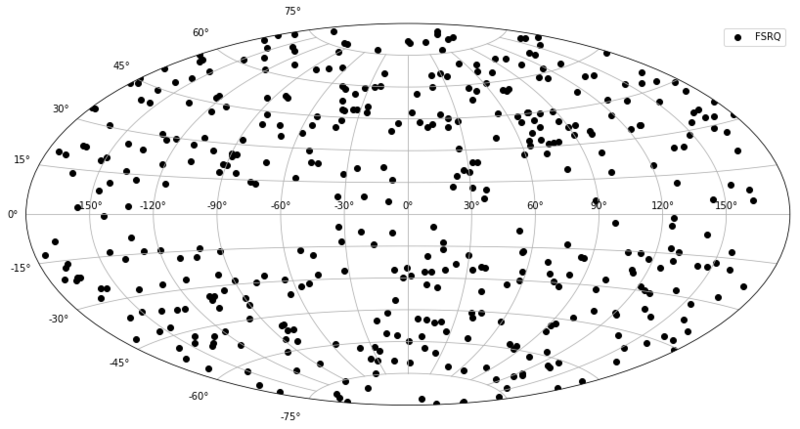 Note that SkyCoord are arrays of coordinates. We will see that in more detail in the next section. How to change between coordinate frames. The Crab in Galactic coordinates. Is the Crab visible now? Here we are going to do some selections with the 3FGL catalog. To do so we use the Table class from astropy. First, we need to open the catalog in a Table. # Alternatively, one can grab it from the server. # Which source has the lowest spectral index? # Which source has the largest spectral index? label = source_class if source_class else "unid"
A Table is basically a dict mapping column names to column values, where a column value is a Numpy array (or Quantity object, which is a Numpy array sub-class). This implies that adding columns to a table after creation is nice and easy, but adding a row is hard and slow, basically all data has to be copied and all objects that make up a Table have to be re-created. Here’s one way to create a Table from scratch: put the data into a list of dicts, and then call the Table constructor with the rows option. Writing tables to files is easy, you can just give the filename and format you want. If you run a script repeatedly you might want to add overwrite=True. FITS (and some other formats, e.g. HDF5) support writing multiple tables to a single file. The table.write API doesn’t support that directly yet. Here’s how you can currently write multiple tables to a FITS file: you have to convert the astropy.table.Table objects to astropy.io.fits.BinTable objects, and then store them in a astropy.io.fits.HDUList objects and call HDUList.writeto. pandas is one of the most-used packages in the scientific Python stack. Numpy provides the ndarray object and functions that operate on ndarray objects. Pandas provides the Dataframe and Series objects, which roughly correspond to the Astropy Table and Column objects. While both pandas.Dataframe and astropy.table.Table can often be used to work with tabular data, each has features that the other doesn’t. When Astropy was started, it was decided to not base it on pandas.Dataframe, but to introduce Table, mainly because pandas.Dataframe doesn’t support multi-dimensional columns, but FITS does and astronomers use sometimes. 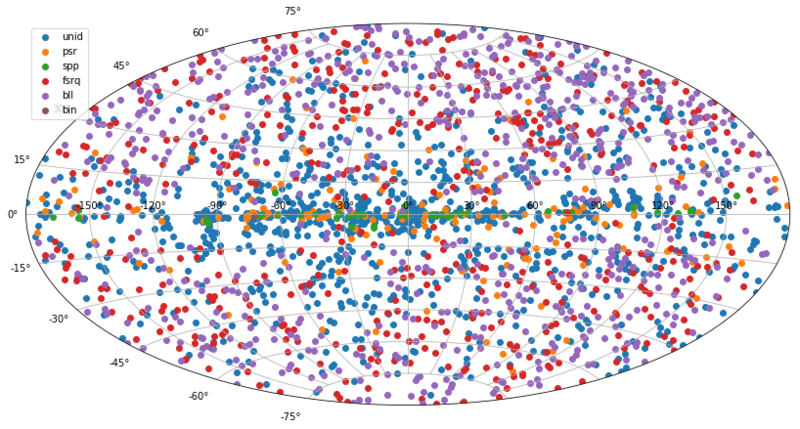 Let’s try it out with the Fermi-LAT catalog. If you’d like to learn more about pandas, have a look here or here. When searched for the hardest and softest sources in 3FGL we did not look at the type of spectrum (PL, ECPL etc), find the hardest and softest PL sources instead.